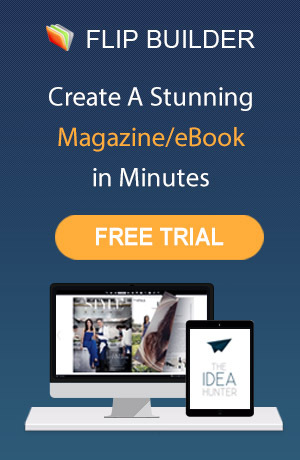 Making interactive and bold booklets are now easier and more cost effective, weather you are creating promotional content, academic projects, product brochures or creating a memoir of some of the most special moments of your life. 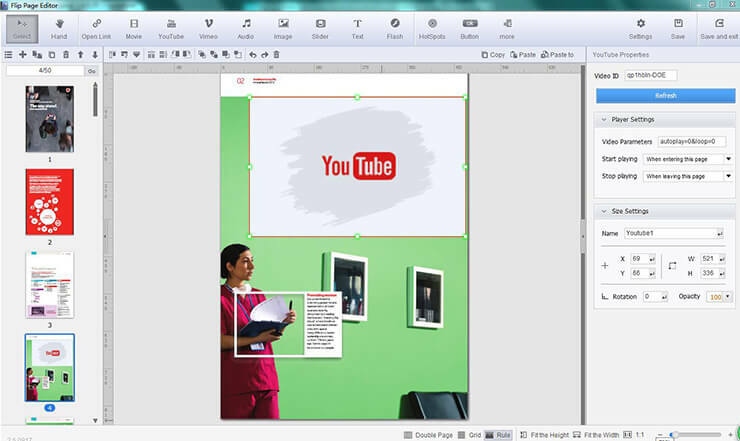 Here is a step by step guide on how you can make most of the Flip PDF digital publishing suite, converting PDF files into HTML/Flash page flipping booklets, added with lively features of videos, background music, and embedding Youtube videos and lot’s more. A Portable Document Format (PDF) is a file format, which you can convert from Word Documents. First of all, you can make an assortment of the images and textual writings on a Word Document and then convert the same into a PDF format. 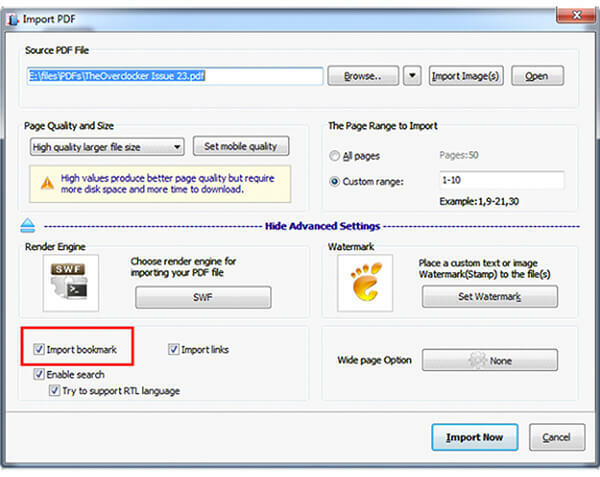 If you like to the layout of certain images and the text, then you go back to the word file, and save it back as a PDF format. To install the software, you need to go the official website of the Flip Builder, that is http://www.flipbuilder.com/flip-pdf-pro/index.html. There you can find the big green button that says “download”. Click on it, and run the EXE file, and go along the given instructions thereupon. 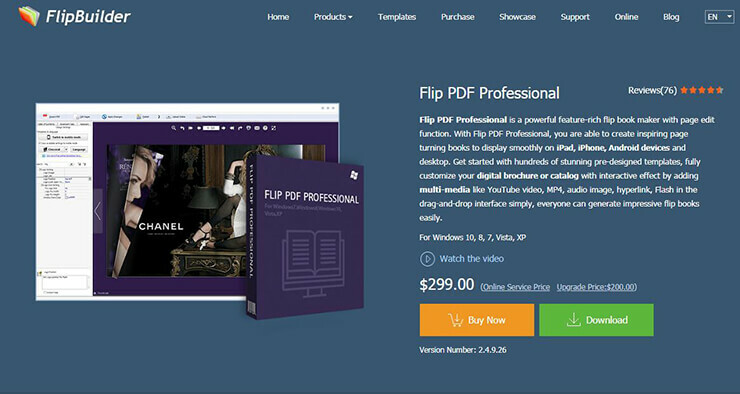 Opening the Flip PDF software will bring you to the project panel, you may click on your ready PDF file to instantly create the flip book out of it, or you can “import” an underway PDF file, and customise it. 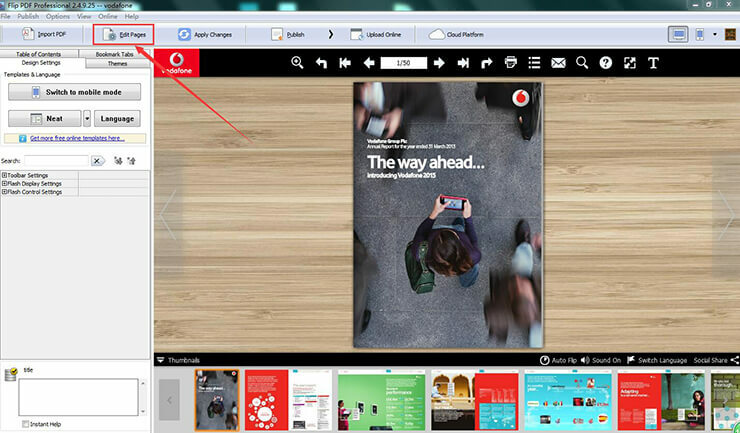 You can also import multiple PDF files to make a single flip book. To import, you have to click the “browse” button on the main source field, to browse your computer for the desired file. You may additionally import images as well, to separately customise them. collaboration is with the “Page Editor”. You can find at the main toolbar, the button that says, “Edit Page”. By clicking on the “chain icon”, you can insert an URL in the dialect box. Customise the placement of the link, and also the text, like “Read More”, “To The Website”, or any call to action content. Insert personal videos from your computer, by selecting the “Film Strip Icon”. The software supports 3 video formats — FLV, F4V and MP4. Other than that, if you like to insert YouTube videos, you can simply click on the “YouTube Icon” and draw a box on the desireable place in your flipbook. Add a background sound, when someone opens your flipbook, such as an emotional book of memories, this you can add by simply clicking on the “Play Button”, and insert the music file saved in your device. The software supports all major audio formats. Other than links, photos, videos, sounds and YouTube links, you can add special effects, like the “eclipse”, photo animation, cliparts and other interesting elements to your flipbook. When you are satisfied with your publication, you can save the setting and publish it. Click the “Publish” button, the software provide several output formats, you can publish it as HTML file or zip/exe format. 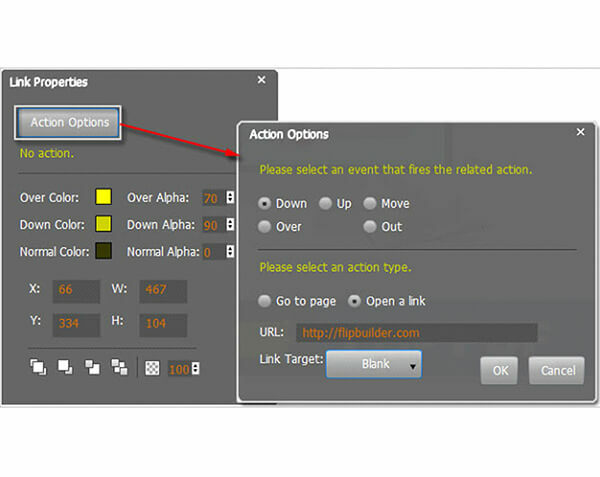 Moreover, you can upload the booklet to Flipbuilder cloud and share it with readers on web directly.